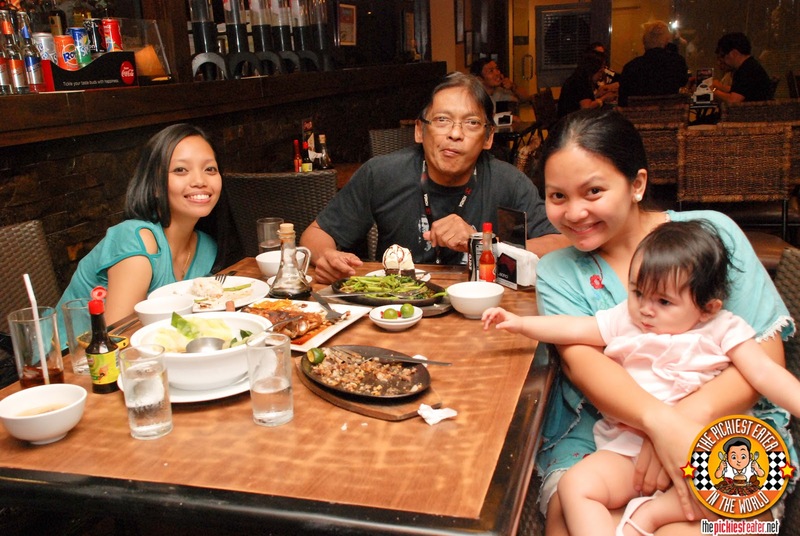 From the moment we set foot into Gerry's Grill, I knew we made the right choice. 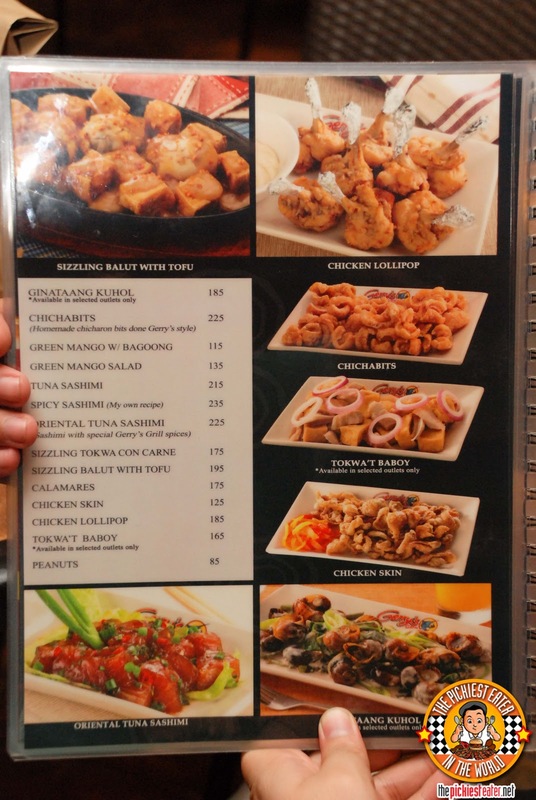 My father in law got tunnel vision just reading the menu, seeming to want to order every single item on it (which caused Rina and I to break into a little sweat because we were the ones footing the bill). 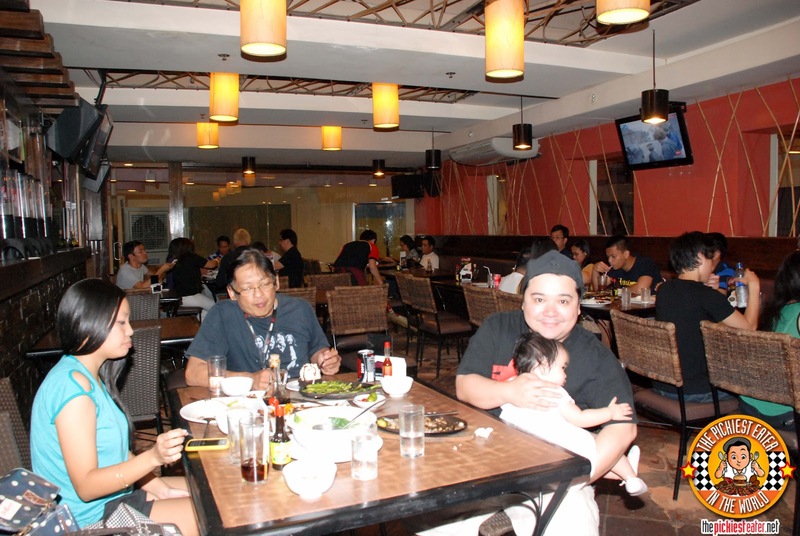 The crowd in Gerry's was rather diverse, ranging from families looking to spend some quality time over a nice meal, to barkadas looking for a place to enjoy some beers and pulutan on a Saturday night. 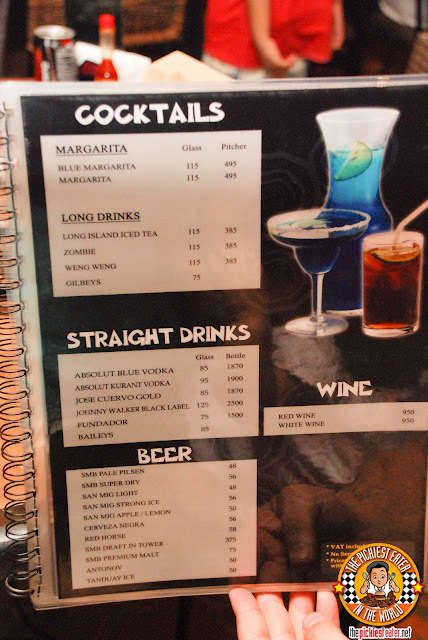 The service was also impeccable. As you would expect, the place was buzzing on a Saturday night, but our every request was attended to in an expeditious manner. 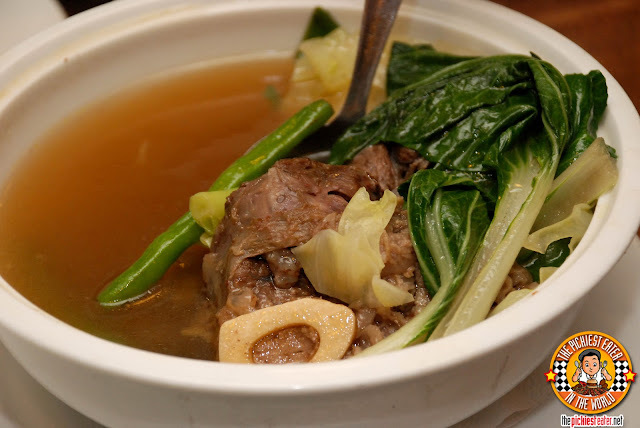 Since our last trip to Pamana, my father had been craving for some good Bulalo. 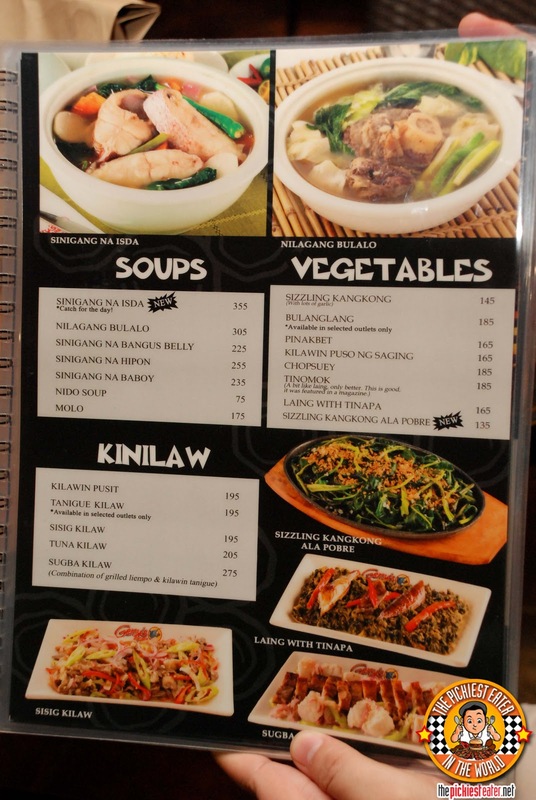 Knowing that, I believe it was imperative that the Nilagang Bulalo (P305) was ordered. The soup had a delicious meaty flavor, and a huge chunk of tender beef with the juicy bone marrow still intact. Rounding out the dish was a medley of fresh vegetables.. but I dunno which one is which.. Basta they were green.. Hehe..
Gerry's Sizzling Sisig (P189) is among the best I've ever had. 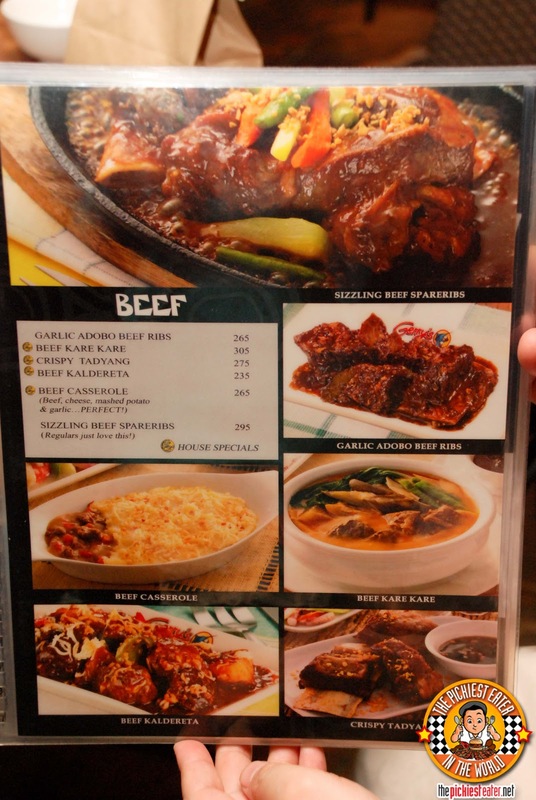 If you haven't tasted it yet, you could very well lose your Filipino Citizenship. My cousin Mon and I spent many a late night at Gerry's Grill Tomas Morato, swapping stories over a plate of Sisig, liempo and Garlic Rice (I was in College then so I couldn't afford much else hehe). 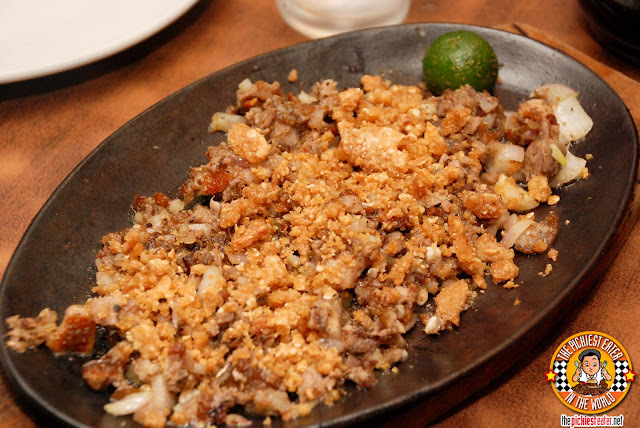 Back when it first opened, this was the first time I had seen sisig topped with crumbled chicharon bits, which gave it a crunchy texture. 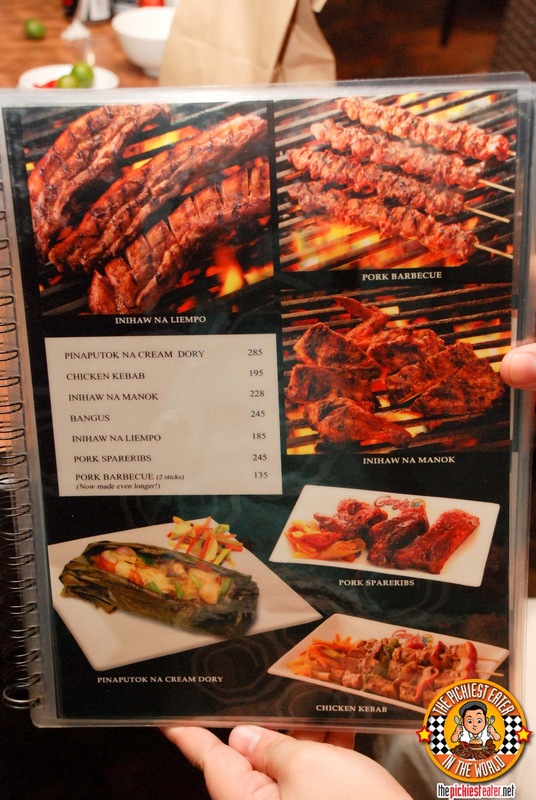 What I enjoy about this most is how there isn't a strong taste of liver in it.. Just pure, meatiness. What I do, is take a scoop of this, and mash it into my garlic rice, so that I get a bit of it when I eat the other dishes as well. 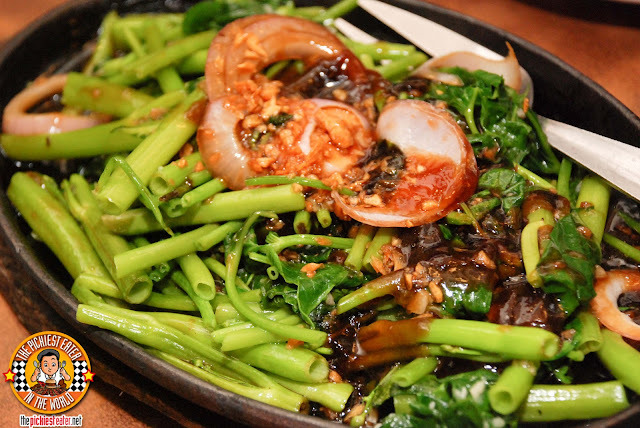 Rina's sister Chaikka, usually looks for a vegetable dish to go with every meal she eats, and was immediately intrigued by the Sizzling Kangkong (P145). Though I didn't eat much of the green stuff itself, what I loved about the dish was the sauce. It seemed to be some sort of lightly sweet oyster sauce, that was sauteed in onions and lots of garlic, which I would later on use on my liempo. The of sight of Gerry's Inihaw na Tuna Belly (P275) on the menu was more than enough to make my father in law's mouth water. 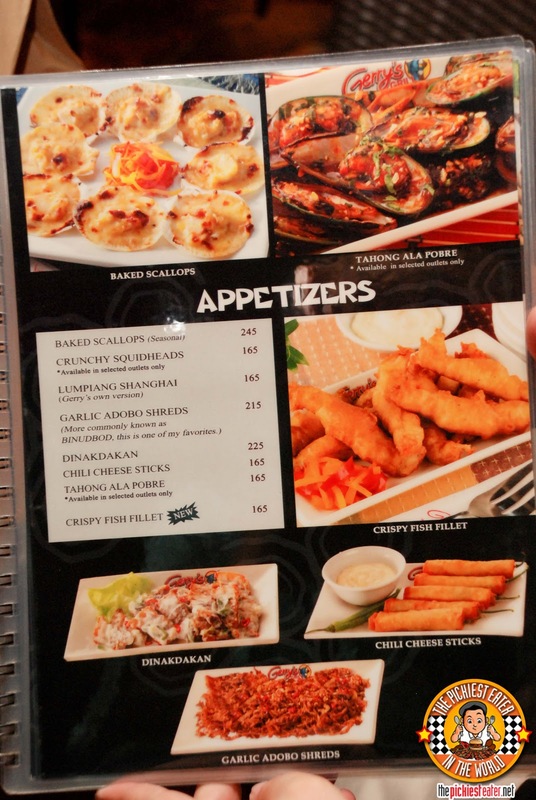 The only thing more impressive than the portion was the flavor of the fish, which was seasoned to perfection. 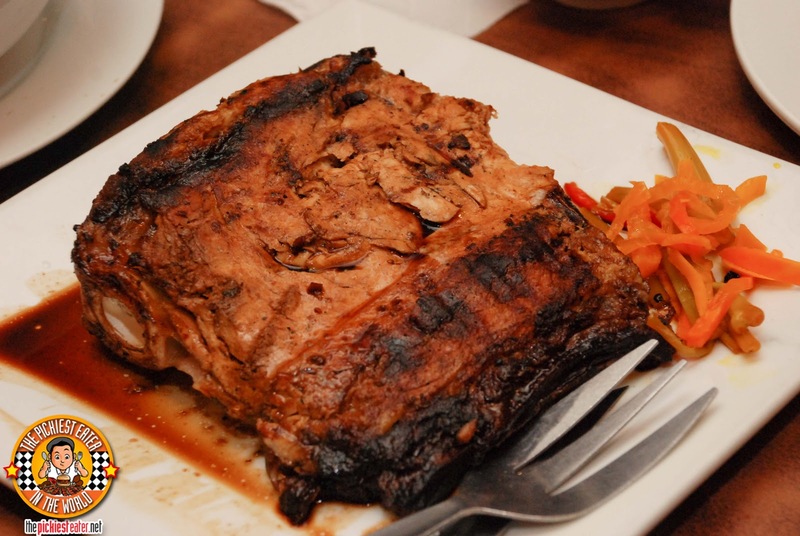 For a grilled dish, the tuna meat was extremely moist and soft. Though it can be eaten with soy sauce and a bit of Calamansi, I found it to be extremely tasty even on its own. 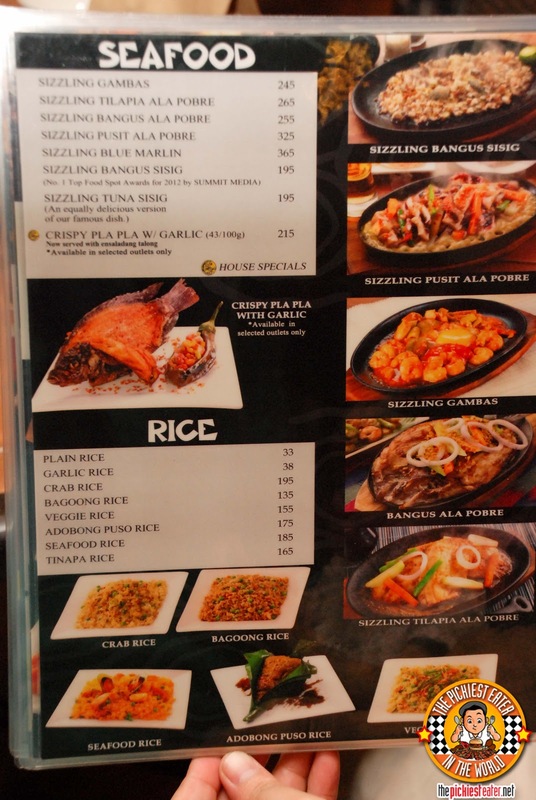 I'm going to go on record and say that no Filipino meal is complete without an order of liempo. They can order all the funky exotic things they want. 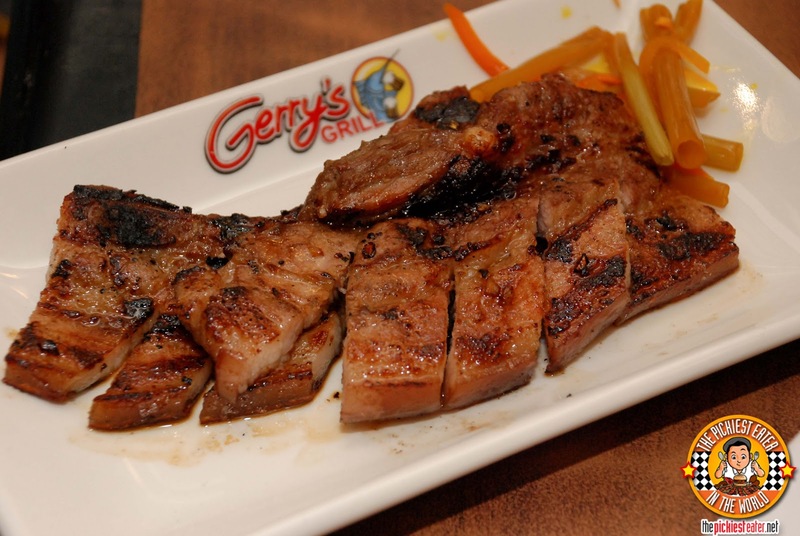 Just give me a plate of grilled pork belly and you won't hear any complaints from me. 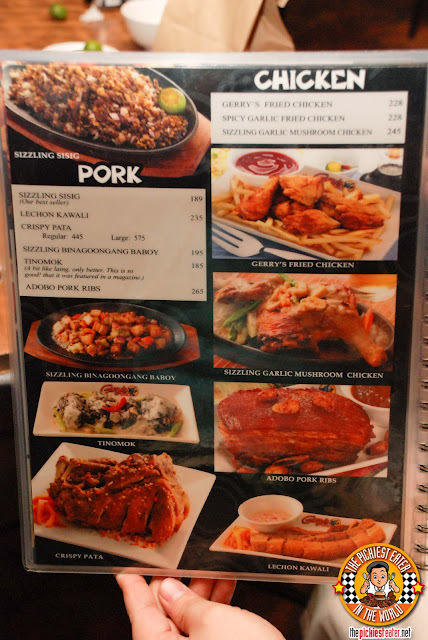 Gerry's Grill makes excellent Inihaw na Liempo (P185). Marinaded in a lightly sweet sauce and grilled just right so that you get gorgeous char-marks on the meat without it becoming too dry, this more than satisfied my need for one of my all time favorite Pinoy dishes. Despite the fact that he had just finished a meal that left him ready to hibernate for the winter, Rina's dad miraculously still had room for dessert. They decided the Brownie ala Mode (P125) was the way to go. The brownie was average, with a decent chocolate flavor. On its own, it really wouldn't have been anything stand out, so it's a good thing that we had it with a scoop of Vanilla Ice Cream on top. 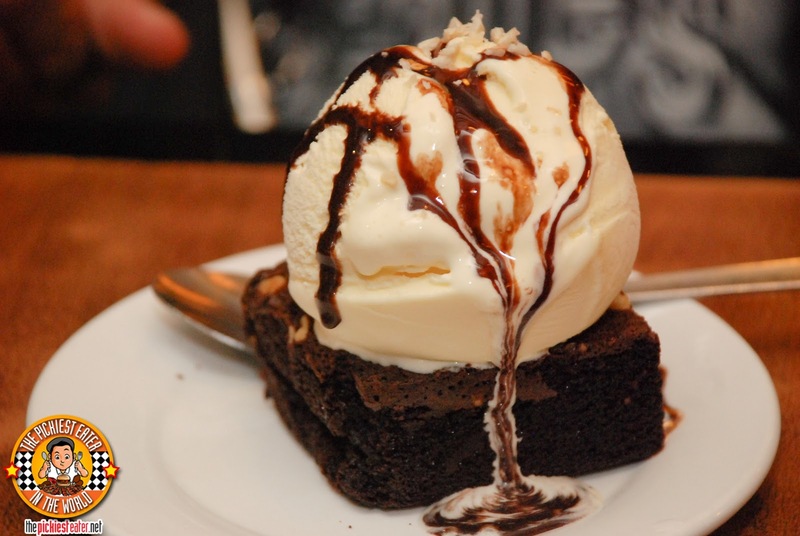 The brownie and the ice cream worked together just right, and was a nice way to end a fantastic meal. 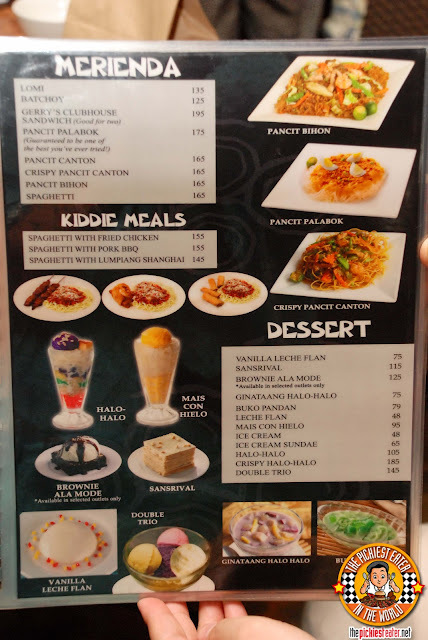 I was expecting to pay close to two thousand bucks with everything we ordered, by I was pleansantly surprised to find out that our total Bill was around P1,300! 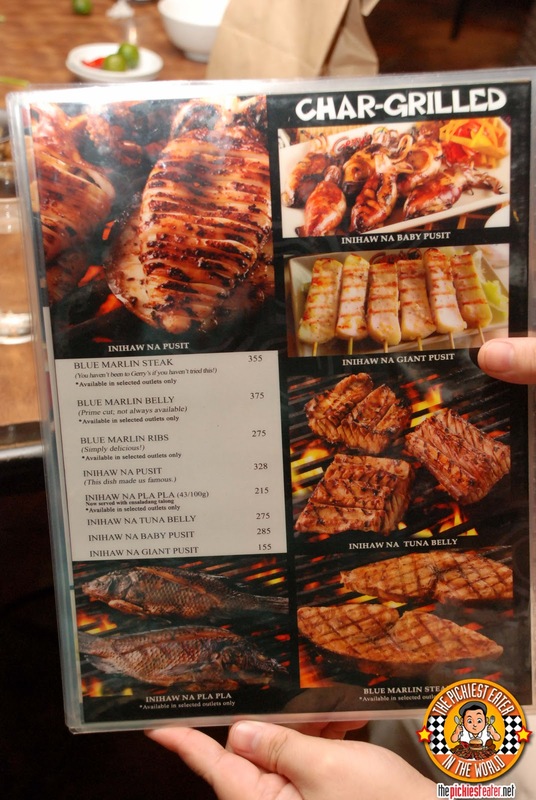 That's great value for money! 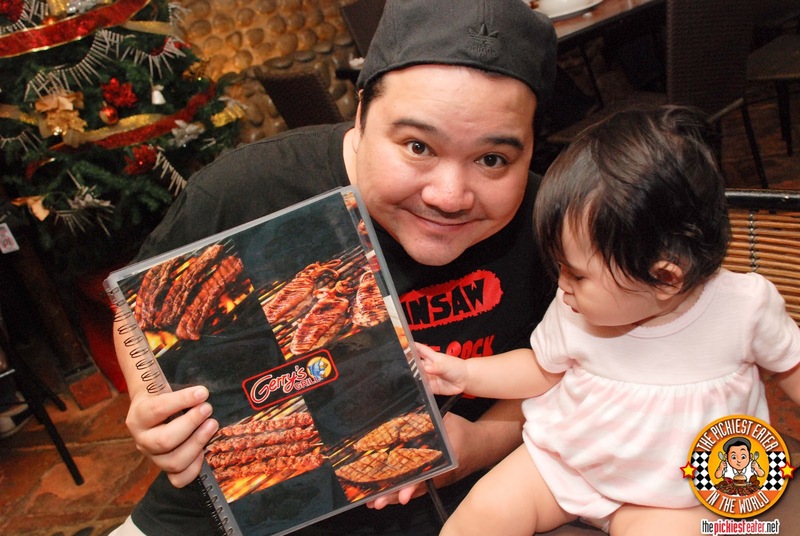 All in all, it was a wonderful way for Baby Rain to spend time with her grandfather (Who refuses to be called "Lolo", and instead has dubbed himself, "Daddy Cool"). With numerous branches all over the country (And as far as the U.S. and most recently, Singapore), there's bound to be a Gerry's Grill near you to help fill your Filipino food cravings! 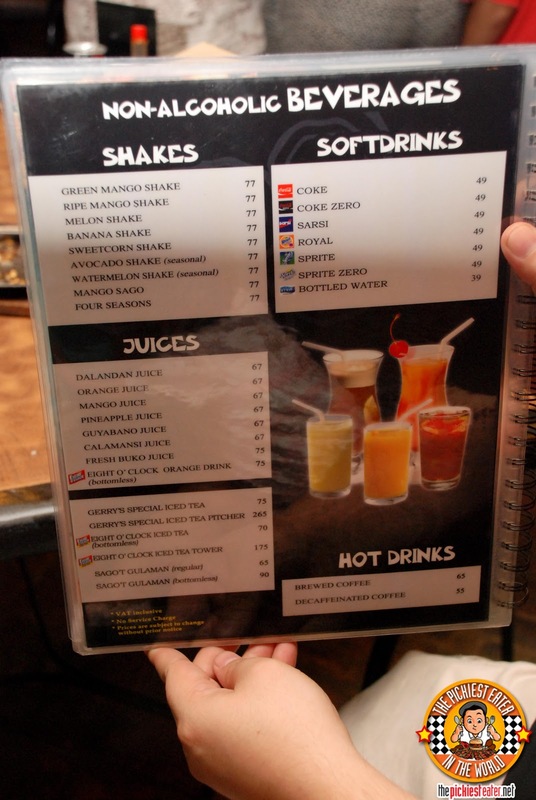 Sayang I didn't get to try the banana shake! !